On June 9, both India and Pakistan became simultaneously members of the Shanghai Cooperation Organization (SCO), a Eurasian economic, political and mutual security organization largely dominated by China and Russia. While the SCO with headquarters in Beijing is not officially a “military alliance”, it nonetheless serves as a geopolitical and strategic “counterweight” to US-NATO and its allies. It also plays a significant role in the development of Eurasian trade, e.g. in support of China’s Belt and Road initiative, oil and gas pipeline corridors linking SCO member states, etc. In the course of the last few years, the SCO has extended its cooperation in military affairs and intelligence. War games were held under the auspices of the SCO. The members of the SCO include China, Kazakhstan, Kyrgyzstan, Russia, Tajikistan and Uzbekistan. Pakistan and India are now full members since June 9, 2017. Iran is an Observer Member slated to shortly become a full member. The SCO now encompasses an extensive region which now comprises approximately half of the World’s population. While the Western media casually acknowledged that India’s Prime Minister Narendra Modi and his Pakistani counterpart Nawaz Sharif had met in Astana, Kazakhstan, ahead of the SCO summit (June 9), the geopolitical implications of India and Pakistan’s full membership of the SCO was barely addressed. Sharif also endorsed the proposal of China’s President Xi Jinping to establish “a five-year treaty for good neighbourliness among SCO members”. The simultaneous instatement of both countries as full members of the SCO is not only symbolic, it marks a historic shift in geopolitical alignments, which has a de facto bearing on the structure of economic and military agreements. Moreover, it has also a bearing on the inner-conflict between India and Pakistan which dates back to the countries’ Independence. Inevitably, this historic shift constitutes a blow against Washington, which has defense and trade agreements with both Pakistan and India. While India remains firmly aligned with Washington, America’s political stranglehold on Pakistan (through military and intelligence agreements) has been weakened as a result of Pakistan’s trade and investment deals with China, not to mention the accession of both India and Pakistan to the SCO, which favors bilateral relations between both countries as well as cooperation with Russia, China and Central Asia at the expense of their historical links with US. In other words, this enlargement of the SCO weakens America’s hegemonic ambitions in both South Asia and the broader Eurasian region. It has a bearing on energy pipeline routes, transport corridors, borders and mutual security, maritime rights. This ongoing Pak-India conflict has been carefully nurtured by Washington since the Cold War era. Moreover, Washington had envisaged a scenario of political disintegration in Pakistan for more than ten years. According to a 2005 report by the US National Intelligence Council and the CIA, Pakistan was slated to become a “failed state” by 2015. The US –with the support of Britain had favored the geographical and political fracture of Pakistan. The separatist movement in Baluchistan had been supported covertly by British intelligence. (For further details see Michel Chossudovsky, The Destabilization of Pakistan, Global Research, December 2007). 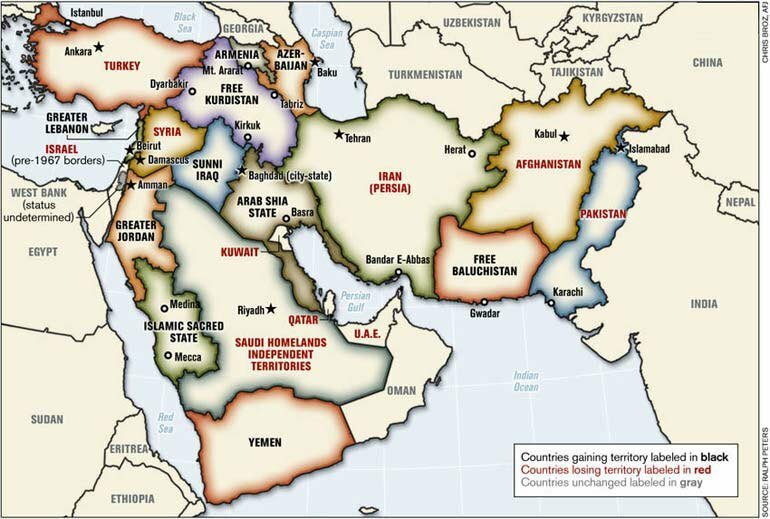 Military scholar Lieutenant Colonel Ralph Peters writing in the June 2006 issue of The Armed Forces Journal, suggests, in no uncertain terms that Pakistan should be broken up, leading to the formation of a separate country: “Greater Balochistan” or “Free Balochistan” (see Map below). The latter would incorporate the Pakistani and Iranian Baloch provinces into a single political entity. In turn, according to Peters, Pakistan’s North West Frontier Province (NWFP) should be incorporated into Afghanistan “because of its linguistic and ethnic affinity”. This proposed fragmentation, which broadly reflects US foreign policy, would reduce Pakistani territory to approximately 50 percent of its present land area. (See map). Pakistan would also loose a large part of its coastline on the Arabian Sea. With the development of Pakistan’s bilateral relations with China, since 2007, the US clutch on Pakistan politics — which largely relied on America’s military presence as well as Washington’s links to Pakistan’s military-intelligence establishment– has indelibly been weakened. Pakistan’s full membership of the SCO, its links with China and Iran should contribute to weakening secessionist movements, while reinforcing the powers of the Islamabad government. Pakistan and China have implemented a so-called “Economic Corridor” which is part of Beijing’s Eurasian Belt and Road trade and investment project. In many regards, the CPEC is a slap in the face for Washington and its failed Trans Pacific Partnership agreement, which sought to integrate Asia and the Pacific into a hegemonic economic project. 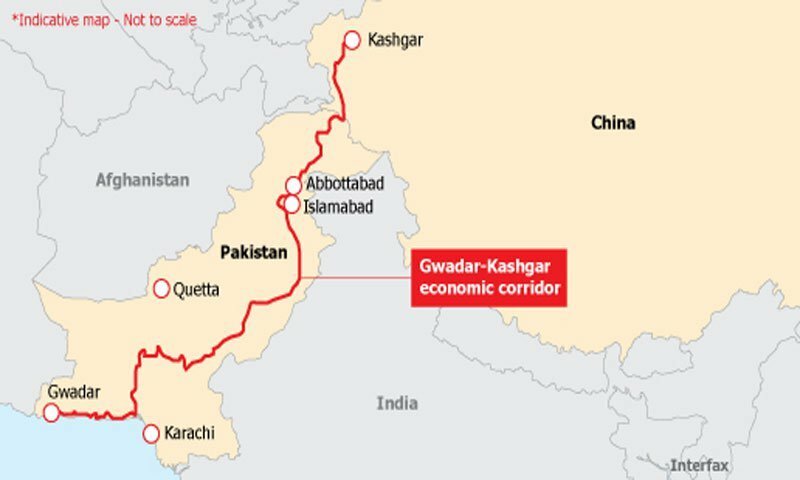 The CPEC is a 2400km, economic corridor (including an extensive railway system) from Kashgar in the Xinjiang Uyghur Autonomous Region of western China to the Pakistani port of Gwadar on the Arabian sea. The infrastructure of the Gwadar port was largely funded by China. 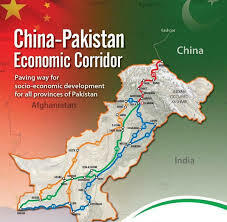 The accession of both Pakistan and India to full SCO membership is intended to reinforce the CPEC as well as, from Beijing’s standpoint, include India in a broader corridor which will ultimately favor trade and cooperation between Pakistan and India, leading also to the negotaiation of integrated economic corridors from Iran, through Pakistan and India onto China and Central Asia. With regard to India, its historical links with Russia –which prevailed during the Cold War, were undermined in the early 1990s with the assassination of Prime minister Radjiv Gandhi in 1991. A Congress government largely committed to neoliberal economic reforms and the “Washington consensus” was installed in 1991 (with Manmohan Singh, a former World Bank official as Finance Minister who later became Prime Minister). In recent developments, Washington has developed a comprehensive military cooperation agreement with India. The question is how will Indian politics evolve in relation to Washington and the West, now that India is a full member of the SCO. How will the conflict between India and Pakistan evolve now that both countries are full members of the SCO. 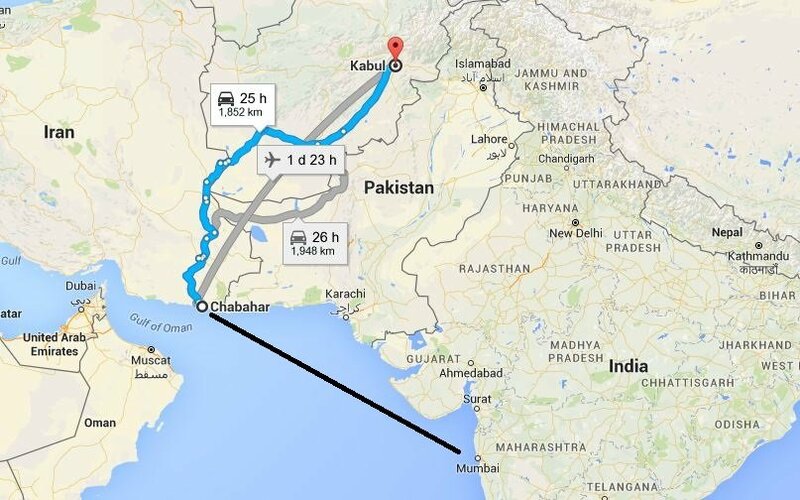 At present, India’s trade corridors with with Iran avoid transit through Pakistan. 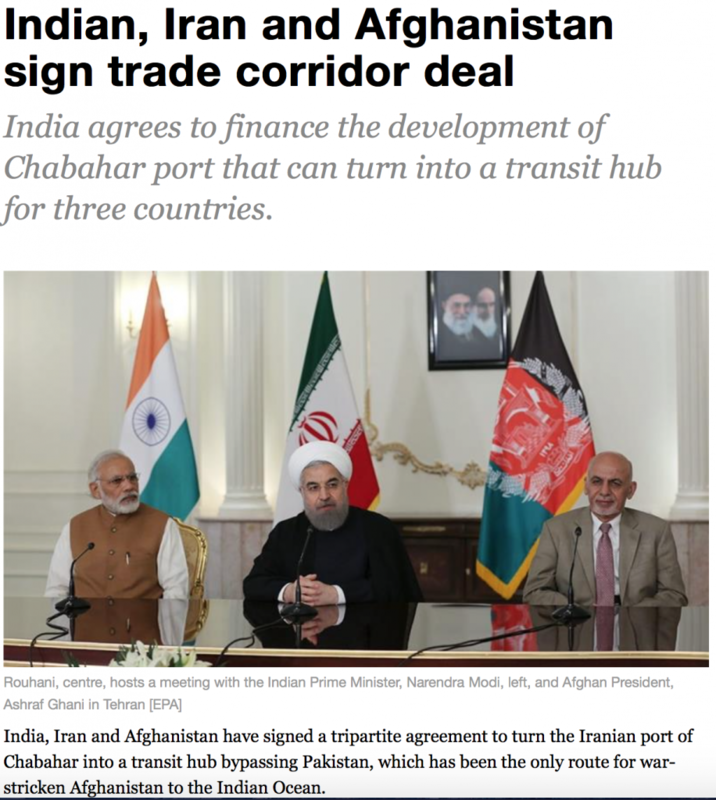 They are governed by an “India, Iran, Afghanistan” tripartite agreement which bypasses Pakistan, which links the Iranian port of Chabahar on the Arabian into a “transit hub”, which bypasses Pakistan. In a decision of far-reaching strategic implications, India is all set to ink a deal to have a direct undersea gas pipeline from Iran, by circumventing Pakistan. Not only this, New Delhi has approved a three-pronged push towards Iran and Central Asia. The question is whether this bilateral project circumventing Pakistan will go through, now that both India and Pakistan are full SCO members, involved in partner relations with China, Iran and Russia. Will that tripartite agreement signed in May 2016 prevail unchanged now that both India and Pakistan are full members of the SCO? 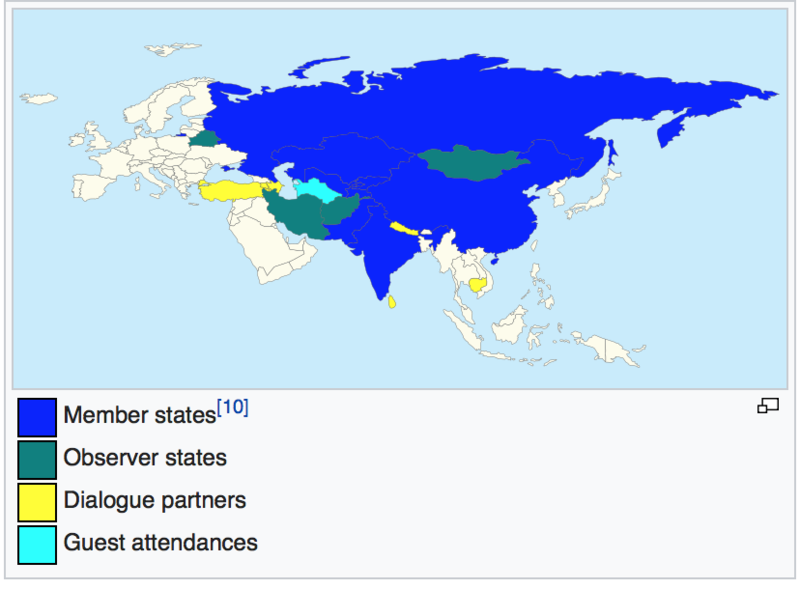 (and Iran and Afghanistan are Observer Members of the SCO). Regime Change in Pakistan? The Political Demise of Nawaz Sharif ? 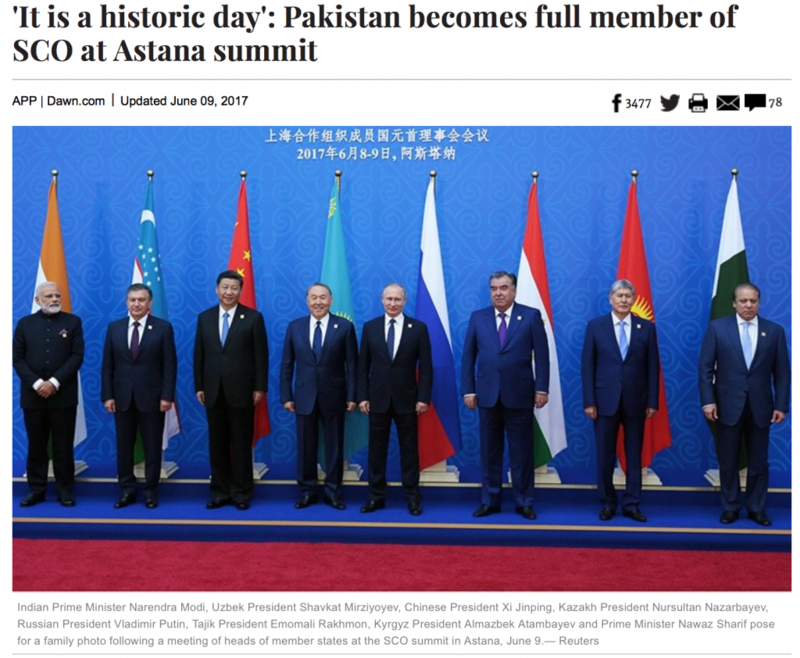 Barely two months following the SCO summit in Astana on July 28, 2017, Pakistan is experiencing a deep-seated political crisis. PM Nawaz Sharif, who had negotiated his country’s membership in the SCO was obliged to step down as prime minister following a ruling by Pakistan’s Supreme Court on corruption allegations. Coming with less than a year to go in his term, his ouster adds to a grim and long list of civilian governments cut short in Pakistan — including two of his own previous terms as prime minister. And it will further roil the country’s tumultuous political balance, as his rivals vie to exploit his fall. When Mr. Sharif returned to office in 2013, it was as a widely popular party leader with a deep grudge against the country’s powerful military establishment. He moved quickly to try to establish civilian authority in areas that had long been dominated by generals, especially foreign policy. The latest reports from Pakistan confirms that parliament will elect a new interim prime minister on August 1, “Shahid Khaqan Abbasi expected to become interim leader until Sharif’s own brother is eligible.” (Independent, July 30, 2017). What are the broad implications of this political crisis in Pakistan? What are its impacts on the SCO?